We visited the Gaudalupe Valley in Northern Baja Mexico. Drive south from Tijuana til you get about10 km north of Ensenada and make a hard left. When you get to San Antonia de las MInas (another 15 km) you are there. We survived the tourist warnings about getting caught in the crossfire of narco gun battles or being kidnapped by marauding gangsters. We did not even see Chupacabra. There are much better reads that present this region such as this 2005 NYT article. The Guadalupe Valley is Mexico’s wine region. It is rustic. One paved highway traverses the east-west valley. Make a left or right and you are driving on dirt. The valley is not at any significant elevation although it is bordered north and south with peaks that look like 1,000 feet. The valley width is probably 10 miles. Length is 20 miles. It is R-U-S-T-I-C. No Ferrari Carrano or Coppola gift shops. That said, there are two monster wine facilities: Casa Pedro Domecq (Presidente Brandy) and LA Cetto. Each produces more than 1 million cases of mostly plonk annually. LA Cetto is a popular family destination. We bought the olive oil. If you like isolation and quiet you will love the Villa del Valle; a handsome estate with 6 guest bedrooms. Call it a B&B but it really is more elegant. 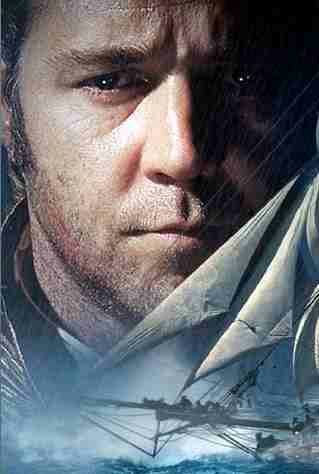 You get there riding a road ruddier than Russel Crowe’s face. This is mountain bike country for the cruisin’ set. Fire roads, hills, aerobic workout. Followed by the late afternoon wine hour. No phones. No newspapers. No TV. Wireless so one is not completely out of touch. Bring books, an MP3 player and a camera. Or just hang out an enjoy the hilltop views across the valley. An island of cultured civility in a rural rustic valley. And Phil is building a very nice and representative selection of local wines of which his are among the best. But is it a true wine destination? Maybe not quite yet. Do not let that put you off. There are ~40 wineries. New planting from one year ago says something is growing. We tasted wines from four vignerons trying to make something happen. You decide. Liceaga: New roadside facility. Conventional aspirations. Known for their Merlot. Met Steve Dryden in the tasting room. He was dropping off the Baja Times with a couple of his columns. He moved here five years ago from Paso. Sees it coming. Wines are unremarkable. Of the majority group trying to grow Bordeaux varietals in a Rhoneisima region. They did have a grappa! Vinisterra Winery: Nice couple runs this facility off the main road. A bit hard to find but what else we gonna do? We found them. New brick facility. Plans for a tasting room. Producing 4,000 cases with a goal of 6,000. Good plan. They have three lines that include a Grenache Rose, a Cab-Merlot blend and a Tempranillo. And they have a Syrah-Mourvdre blend. They are the Rhone Rangers al Sur. All young vines so they source alot from the two valleys to the older-planted south (San Vicente and San Tomas). Patti and Abelardo are going in a more interesting direction in terms of valley wines. We buy the high-priced bottle ($45!!) just to see what it tastes like. tBoW thinks the price point is all wrong but we liked the place and the idea of making their high-end line Rhone-style mucho. Good luck and think about the pricing. Vena Cava: Our hosts at Villa del Valle have planted a couple acres on a southwest facing hillside. In the meantime he bought grapes from a local vigneron cherry picking exactly what he wants. We tasted three Vena Cava wines and liked them all. He sells them from the wine list. His second vintage from mature vines. All priced around $20 at the villa. Now doesn’t that make sense?!? Terroir-driven. 2007 Chardonnay: Tastes more like a Chenin Blanc. No obvious oak and plenty of ripe fruit. Very nice. Mineral flavors enhance the wine. 2007 Sauvignon Blanc: Lemon lime nose and flavors. No grassiness or grapefruit. How refreshing. Unctuous. VIscous. Unfiltered so it has some dust in the bowl. Delightful. Think juicy Loire wine. 2006 Cabernet Sauvignon: Citrus quality (like Argentina). Mid weight. Slightly sweet. Soft tannins. No tobacco or leather flavors thank you. No big oak thank you. Akin to the Tres Mujeres Cabernet. These three wines seem terroir-driven. Not trying to be something else from some other place. Tres Mujeres: “Go up this road” says the missus. She has spied a hilltop winery (Rancho Mogrocito) that looks promising but when we get to the entrance the chain link fence is locked and the sign says (in English) by appointment only. So we continue a few hundred more yards until we arrive at a house with a ceramic hand pointing to an “artisan winery”. The dozing hounds do not budge. It is wineries like this one that make Guadalupe Valley special. Three women make wine at the home site of Ivette Vaillard. She is a pot thrower (the ceramicist who made the directional hand) and an accomplished artist. Not sure what the other two ladies do but they all love wine and so, like their neighbors, they make wine. She slips out of her apron and guides us to the entry to the wine cellar. In the tiny cave we tasted the ladies’ three wines. 2006 Grenache $20: A blend of Zinfandel, Carignane and mostly Grenache. I was surprised to learn zinfandel was growing in the valley. “Our neighbors gave us our first cuttings. We did not what they were until a few years ago”. Middle weight body. Fruity, not over-ripe. The Carignane gives sweetness. Zin is also there with a familiar prune flavor. A modern day “field blend” that she makes work. Gentle, warm, restrained like our hostess. Charming, unassuming, sweet. A woman’s strength. This is her seventh vintage. 2006 Merlot $20: Caramel flavors found in the Vinisterra Merlot not showing here. Once again, not a knockout wine but a wine that seems to reflect the salt and mineral qualities of the soil. A wine I love? No. An effort I love? Absolutely. 2006 Cabernet Sauvignon $20: Expecting the worst from a Cabernet grown in salty soil in a hot and dry region. BUT…we are surprised. Here is a cab that seems to represent Guadalupe Valley terroir. It does not taste like every other cab trying to taste like Napa or Bordeaux. In fact, I will bet if I put this in front of a snob pod they will be unable to not only peg it as Cabernet but to identify the grape at all. These wines are only available at the winery which makes only 800 cases. Tres Mujeres is about making wine under tough circumstances. This is marathon winemaking. The soil and the heat are not even the greatest challenges. Check this out. Ivette and her two fellow vignerons make wine about 100 steps uphill from the home on a make-shift cement pad with a trellis that they will cover during harvest and fermentation. She used to make the wines on the back porch. Their wines are only available at the winery. “Is there a white wine” I ask recovering my senses from trying to fathom the effort and love required to get it all done. “Oh yes. We make a Sauvignon Blanc but only enough to drink at home”. Why? “You know it is too much work making white wine with temperature control. Always bringing more ice up the hill”. I hear you sister. We loved visiting with Ivette. She could not have been more accommodating and humble. We will return and we will visit once more. We bought a bottle of each wine. Wish I had bought more. The Merlot and the Cab have labels. Ivette used a silver sharpie to inscribe her bottle with the “label”. I am still grinning.